These are freqeuently asked questions for the Squash Levels site. Please look through these before contacting us as there is a good chance your question is already covered. If not, then please get in touch and we can add your question to this list. Click on the question to reveal the answer. Please also take a look through the About this site page as that covers a lot of topics that may also help. My name is wrong. How do I change it? Your name is received along with your results so if it's wrong then it's likely that it's wrong on your own county system so that's the best place to change it. When your next result is received your name will then be corrected on SquashLevels. An alernative is to correct your name directly on SquashLevels which can be done by your county admin, by us or by you if you are a member of SquashLevels. You can now lock your name on SquashLevels so it is not updated by new results coming in which is a more permanent solution. I was injured in my match. How do I stop this affecting my level? The result must clearly look like an injury with at least one game lost with zero points score. Both team captains must agree that the result was affected by your injury. We need to hear from at least one of them. Your opponent must agree that the result was affected by your injury. We need to hear from them. That way there is no arugument! This is a common request and quite often an apparently clear injury is recorded as such and then we receive a concerned email from the opponent. League Master has a flag that can be set in the results form but that can only be set by the league secretary. Please get in touch with them to set that flag. The flag will then be uploaded to SquashLevels along with the results. Note this flag can be applied (or removed) at any time. Badsquash has a flag that can be set by the team captain when entering the results. This can also be applied at any time. Because the systems above upload the injury flag along with the results, any injury must be recorded on the respective system. If it is recorded soley on SquashLevels then the flag will be overwritten next time the result is uploaded and the injury record will be lost. The other league systems don't support the injury flag so please get in touch with us here and we can set it directly in SquashLevels. We will need to see evidence as required above. If you're not logged in then go to the Log in/Join page and from there you will see a form to enter your email address for a link to reset your password. If you don't get the email and you've checked your junk folder then please get in touch with us anyway and we'll reset it from our end. If you are logged in then you can reset your password directly from Me->My membership. Where did my ESR membership number come from? If at all possible, we receive your ESR membership number from your county league system but this is only supported by Leaguemaster at the moment. Long term we are working wth ESR for them to have a robust membership system that users and systems like SquashLevels can access but, in the interim, we have received a membership dump from ESR (with all the personal data removed) and done our best to match player names and clubs from the ESR system to what's been entered into SquashLevels. With all the freehand data entry for the membership system it's been a somewhat approximate process but we reckon to have matched up about a third of the players on SquashLevels and they now have their ESR membership number available in their player histories. There may be a few incorrect match-ups but the vast majority are probably pretty good. You can see if a player has an ESR membership number in their SquashLevels records because it will show 'ESM: Yes' just under their name but only SquashLevels members can see what their own number is and whether it's current or not. This is because you can access personal data from the ESR website if you know your membership number so we keep it safely hidden from everyone but you. If your ESR membership number is wrong then you can edit it along with your other player details by clicking on the 'Edit' button near the top of your history page. You do need to be logged in. Some of the early results don't have IDs for the players so we had to do our best to match names and just initials in some cases. It's possible that some of these aren't right and that we've accidentally merged two players together. Please let us know if you come across a case like this and we'll separate the players again. It can all be sorted - we have the tools. This is quite common when players change club and get re-added to their local league system. As a result, their subsequent results are entered against their new ID causing SquashLevels to treat them as a different player. You should find that the system spots your 'other' player and asks you to let us know if you really are the same person via a form at the top of the player detail page but, even if not, please let us know and we'll merge the two sets of results. It can all be sorted - we have the tools. If I change an old result, will it update my level? Yes. The levels are recalculated from day one every night so if you change a result it will be taken account of in that process. Obviously if the result you changed was old, it won't have any effect on your current level as it's your most recent few matches that determine that. It's possible that you have a duplicate 'self' on the system and that you're trying to edit your 'other' one. In this case, the system will think you're trying to edit someone else's results and won't let you. Please check if you have a duplicate on the system and request a merge if so. Once the players are merged, the system will recognise them as you and allow you to edit any of the results. If this isn't the reason you can't edit your own result then please get in touch and we'll find out what's wrong. This is usually caused by the system having low confidence in your level and therefore purposely leaving you out of the rankings. Your level confidence can be low because you only have a small number of matches in your history, you don't have recent results or you've had some unexected results. All these factors will reduce your level confidence and if that drops below 20% it is considered too low to include you in the listings by default. You can tick the 'confidence' box on the listing page to show level confidence and also un-tick the 'limit by confidence' box to include you and other players with low level confidence on the listing page. Just be aware that players with low confidence levels may not be in the right place in the rankings. Why am I greyed out in the rankings? This is usually caused by the system having low confidence in your level but rather than leaving you out of the rankings, it puts you in your rightful position but grayed out. You'll notice that you don't occupy an actual position but you can see where you would be if you did. Your level confidence can be low because you only have a small number of matches in your history, you don't have recent results or you've had some unexected results. All these factors will reduce your level confidence and if that drops below 20% it is considered too low to include you in the listings normally. There could be some duff results such as incorrectly entered scores or injury results messing things up. Have a look at the history of anyone who seems a long way out and check their results. If you see any anomolies please let us know and we can correct them. You may have a lot of players with a very similar level so a small change in how they play or an unusually good result can have quite an impact on their position in the rankings. We can't do much about that - that just adds to the spice and the motivation to play every point! Some of the players may only have a couple of matches in their history and it takes a while with weighting and averaging for their level to become accurate. Three is usully enough if they've played other players with accurate levels but if everyone has only got a match or two to go on it can be a bit random to start with. This can happen if a new league or club has just started uploading results. If it's bad or you're impatient to fix the ranking order then the starting levels of any player can be overridden. Once there are enough results to go on the system takes over but to get you going just identify a club or county admin and we'll set them up to be able to override the starting levels. Maybe some of the matches recorded weren't truly competitive. A results based system can only go on the results so the rankings will give you the order of how well everyone is playing - not necessarily how good they are. The more competitive the matches, the closer those two will get. You may have some incorrectly merged players. There's a fairly continous merging of duplicate players going on and occasionally we merge two players who are actually different. That would have the effect of merging their playing history under a single name and put their level and ranking out. Check their player histories and if this looks to be the case then please get in touch and we can sort it out. Sometimes we study rankings that don't look right, based on our gut feel, but when we look at the results we realise the rankings are probably right and we're just running on old heresay... If the results are right then the rankings are probably right too. If you feel that a player is in the wrong order (by, say more than 10% from a relative level point of view) then please get in touch and we'll take a look. The system is no good if it's not accurate and that's our holy grail! What is the 4 match moving average? The level changes are damped quite a bit but they do still go up and down by a few percent each match based on your results. If you're going to be using them for tournament seedings it's a good idea to damp them even more so they are more stable. The 4 match moving average level for a match takes the level from each match and averages it with the levels from the 3 previous matches to provide a heavily damped level for that point in time. For the rankings, this 4 match average applies to the 4 most recent matches. I have a result that's not right. How do I fix it? All the league and tournament results on SquashLevels are imported automatically from the various league systems so the best place to fix an incorrect result is on the local league system itself. Once corrected, that result will be re-sent to SquashLevels and all will be well. To edit your result on SquashLevels, click on the match date in the player history and you will be taken to a page from which you can edit it. Note that; you must be logged on, you must be one of the players and the update will be recorded so we can track who is changing what. Failing that, the result can be updated directly on SquashLevels either by us, by your county admin or by you (if you're registered as a member) but, beware, the incorrect result on the local league system could be re-sent and overwrite the corrected result at some point in the future. My level is changing gradually over time and I'm not even playing. What's going on? SquashLevels is a multi-county system and part of its nightly processing is to calibrate the levels of players across counties. As the sources of results tend to be from one county at a time, the system looks for players who play in more than one county to help calibrate between them. This comparison is made every night and if a county appears sightly high or slightly low then all of the players in that county are adjusted by anything up to 1%. This will happen over a period until the county as a whole is calibrated. This process is relatively new so you may find that your level is changing at the moment. Within a week or two it should settle. How can I get my league results on SquashLevels? We're keen to work with all counties and leagues so please ask them to get in touch. We can work with pretty much any format of result data - we just need access to it - but by far the best method is for your league website to provide a consolidated page for latest results and we can pull that automatically every night. This will require assistance from your county leads and webmaster so it'll take a bit of coordinating. Perhaps bring it up at your county's next AGM. How can I set up club boxes on SquashLevels? Club boxes are automated but you'll need to start with a request to us to set one of your club members up as a club admin. The club admin can then set up the boxes and add all the players directly on the system. If you have a lot of players then we can also get you going if you give us a list of names. We will provide a club-wide log-on to allow non-members to enter their own results (there is a charge for this - see the membership page) and then you're off and rolling. Many systems on which competitive results are recorded (boxes, leagues, tournaments) have upload connections to SquashLevels and, in most cases, your results should be sent across automatically every night but there are still a few systems that don't have a connection. The first thing to check is if the system has upload to SquashLevels and you can find that out by asking the event organiser - they should know. If not, do please ask the organiser to ask the appropriate system provider to connect up and we will do our best to make it easy. Another posibility is the results have been missed by the source system if, say, they are old results being back-filled/updated. Most systems will send old/updated results through but not all. In this case, please get in touch and we'll have a look. We can always pull historic results using special feeds on request. SquashLevels will not accept 'duff' results such as 15-0, 15-0, 15-0 (they cause havoc with the rankings) or dates set in the future so please also check that the result is sensible. We keep a history of the results upload from all source systems so should be able to find out why a result hasn't made it over. Can I add my own results? Yes. Just register as a member and you'll be able to add 'Club matches' against anyone in your club. You can even add club members if they are not already on the system. Can I add my friendly matches too? You can, but better if you don't. SquashLevels is a results based system that assesses how well you're playing based on your results and the level of your opponents. If you play a friendly then it's likely you won't be playing a truly competitive match and your level will get dinged. We do allow a range for the better player to play in but if you drop games to someone half your level then you're going to be going down... and, equally bad, your opponents wil be going artificially up. We will add a future feature to allow you to enter your results but exclude them from the level calculations (that's really intended for dealing with injuries) but that's not available yet. Watch this space on that one. The level is recalculated for the match just updated but if that's not the most recent match then your latest level will not be changed. Level history is re-calculated every night so just wait until the morning and it will all be sorted. Sometimes you can see that your level has gone up by, say 5%, but when you look at your actual levels on your history page it hasn't. It may even have gone down! The most likely cause of this inconsistency is that someone may have updated the results (maybe there were corrections) since the nightly processing was run so now one or two of the results aren't consistent. Level history is re-calculated every night so just wait until the morning and it will all be sorted. Some of the league systems rely on manual results entry and it's not always a set of scores that SquashLevels can interpret. This sort of thing is not uncommon: 9-5,9-69-4 for instance. It could be argued that this sort of result could be pulled apart but, for now, we check for pairs of numbers that are within reasonable limits. This example will fail this check so can't be used. If you can correct the score entry on your league system then it will be re-sent to SquashLevels and all will be well. I won my match but my level went down. How did that happen? 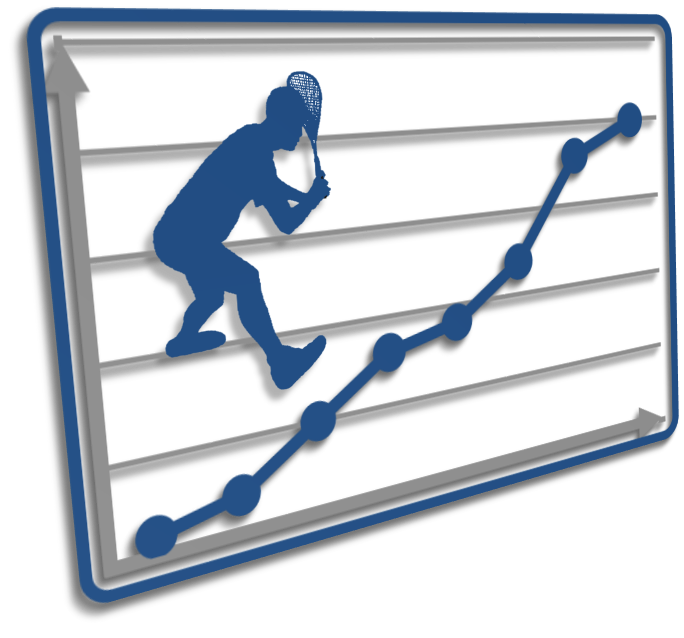 It's important to remember that the level calculated by SquashLevels is an assessment of how well you're playing at the moment and that is based on your results and the level of the person you played. If you're better than your opponent then you're expected to win so the big question is not 'did you win?' but how did your result compare with what was expected? If you didn't do as well then your level will go down - at least a little. There is some leeway for players that are quite different levels because we don't expect a much better player to hammer their lowly opponent just to keep their ranking up. In this case, the system assumes there's a range that the better player might play at and only if the result falls outside the range will either player's level be changed. How is my level change calculated? If you click on the level change text in your results history, you will be taken to a page that explains how that level change was calculated. It is the actual level change code that runs in this page, except it's in 'verbose' mode so you can see what's happening (which is why it's a little cryptic). If you still can't see what happened please get in touch and we'll explain it. This is done automatically by the system and is based on your first few results. As long as someone somewhere in your league has a level, the system can work out everyone else's level based on the chain of results - even if that means working backwards in time. The first pass at this gives an approximate set of levels but this is fine tuned every night so after a week or so of your first results going in, your initial level will be accurate and stable. Your initial level can also be adjusted by the inter-league calibration process that runs every night as that's how whole leagues are adjusted. These adjustments are normally very small but can be significant over time. Once the leagues are calibrated, they go stable. Your initial level can also be overridden manually. If you really think the system has got it wrong then get in touch with your county admin and it can be corrected. It goes up when you play another match. It goes down if you haven't played for a while. It goes down if your result was unexpected. If you are new, or haven't played for two years then it's set to 10%. The effect it has is that if your level confidence is lower than that of your opponent then your level will move more quickly than theirs. This allows the system to adjust the levels of the players who's level might be inaccurate more quickly with limited impact on their opponents. It also allows fast moving players to move fast! The system updates player information based on the results that come in. For instance if you play in the Yorkshire leagues for Barnsley it will update your information for both county and club. This will mean you appear under the Yorkshire and Barnsley player listings. If, however, you are affiliated to a different county and only want to be listed as a player for that county (for the county rankings) then you can ask your county admin to lock your county so that it isn't updated by new results. What personal information does the system store about me? It obviously has your name, match results and a calculated level and it has that for everyone on the system. If you register as a member then we also ask for an email address and for you to identify which player on the system you are. That's it. Your password is encrypted before it's put into the database so we have no idea what it is. We also don't send emails out unless we have a query specifically related to you. There's no personal information, anything to track you with and no advertising or marketing use for them. How do I remove myself from the system if I don't want to be listed'? We get results from many different source systems so if you have results on one of those we can't really stop those results coming in and as your matches are also your opponents matches we don't want to remove the actual match results. We can, however, dynamically replace your name with 'Name Withheld' so your name doesn't actually appear. This can't be done via a page or form but it can be done from our end so please just let us know you'd rather not be listed. The data on the system is harmless - nothing personal is shown - but we respect your right to not have your name displayed on the internet. If you do get in touch to be listed, we'd also like to understand your reason. Maybe there's something we can do different to hide a particular piece of information. Anything 'non-standard' is only available to members anyway so web robots only see your name and basic results - just like they would on the source system. What is the 'Player of the month'? At the start of each month, we show the most improved player for both their club and their county for the previous month. The club and county shown are based on the page you are looking at. For instance if you look at a player history page you will see their club and county whereas if you look at a rankings page you will see the club and/or county shown in the rankings. If the page doesn't suggest an obvious club and/or county then your club and county are used as long as you are logged on. They must have played at least 10 matches in the 12 months prior to the start of the month. They must be above level 200 at the start of the month. You can always see the players of the month for your club and county from the 'Rankings' pull-down. From here you can see last month's winners and also the contenders for this month. This feature recognises the most improved players in all clubs and counties and their names are in the spotlight in the yellow banner on every page for a few days at the start of each month. Glory indeed! How does SquashLevels compare to Resultszone? Resultszone is a league system that also has its own rankings which means that both functions are accessed from the same system. For some time, results from Resultzone have been exported to SquashLevels (although somewhat sporadically) so players have been able to look themselves up and find their level history and their rankings in the UK. For those counties that have transitioned from Resultszone to League Master, things are slightly different. League Master doesn't use its own ranking system but is integrated with SquashLevels to offer the levels and positions indirectly. It also provides links for each player to go straight to their player history, their club or county rankings on SquashLevels. Once on SquashLevels, there are links in the player history page to link back to League Master. So although the league and ranking systems are separate, the user can navigate between them seamlessly. One area of confusion may be over the numbers used for the different ranking systems. Resultszone uses the matrix system which bumps players up or down based on their results giving a list of players in about the right order of ability. This is also true for SquashLevels except the numbers that SquashLevels uses are mathematically calculated around the ratio of playing level such that a player with twice the level of another player is actually twice as good and will get twice as many points. This allows all sorts of other features such as predicting results or calculating the chance of winning a game for instance. Admin - how do I correct player details? From the player's history page you should see an edit button at the top. From the edit page you can change those player details based on your admin level. If you need to change a detail that appears to be unchangeable then please contact us. We can change the information or bump your admin level up so that you can do it yourself. Admin - how do I adjust a player's starting level? The system does its best to work out a player's starting level based on their first match and then, afterwards, may adjust it if it doesn't look right. In most cases, you can leave the system to do its thing but that can take time and that's no good if players are in the wrong place in the rankings and that's causing trouble. A player's starting level is included as part of their details and you can edit it on the same page. See above section on how to edit a player's details. You may have to scroll down to find the starting level field. Also note that you can change it but you can also set it 'manually' such that the system won't come back and change it again. If the player has played a few matches then the starting level is less significant to their current level. This is only really useful to do if the player is new to the system and their first match wasn't representative. Admin - how do I correct match results? Whenever you see a date for a match, you'll find that is also a link to the match detail page. From the match detail page, if you have admin rights, you will see a button to edit the match. The button will indicate what level of admin rights you have. Within the edit match page you will be able to edit the match details based on your admin level. If you are unable to edit the details you need then you may not have the right admin level. In this case please get in touch with us and either we can make the changes for you or we'll bump up your admin level so you can make the changes yourself. Admin - how do I find and merge duplicate players? As an admin, there are several ways to actively find duplicate players. Players with the same name and similar level are offered as duplicates at the top of a player's history page. Just select 'Yes' and register the request as any other user would. When entering the name of a player in the 'Search player' box of any of the rankings pages you will be offered a list of player names that match the name snippets entered. E.g. k r n smith will identify all of Keiran, Kieren, Karan etc. If there are 5 or less matching players offered, you will have a red link to click that enters a merge request for all the players listed. Very useful for requesting merges when their names are misspelled. Look for similar names in similar positions in the rankings. They could well be from the same club but appear to be playing in a different county. That's quite common! County admins - Use the Admin->Find duplicate players page. This page checks every player in the system against every player in your county and offers a link to merge them. This link will not be available if the players appear to have played for different clubs on the same date - as that suggests they are different players. The link can be revealed if you are certain. If you know of a duplicate player but his/her name is mispelled then you can edit that player's name and then return to the player's history page and the duplicate should be offered at the top of the page. You can request a merge from there. Once a merge has been requested, it will appear listed on the Admin->Show user merge requests page. This page offers links to merge these players and also to analyse the combined player's histories to help verify if they are duplicates or not. Admin - how do I change club names or consolidate two clubs that are really the same? This is something we need to do from our end but we need your help to identify them so please let us know if you're aware of duplicate clubs or mispelled clubs. Note there are a few clubs that are the same but appear in different counties. For now we're keeping those separate so they show up correctly in the rankings. At some point we'll work out a clever way of combining them! Admin - how can I see what my player's ES membership numbers are? Quite a few of the source systems also supply ES membership numbers with the results during the updates each night and these can be viewed either in the player's history page or by selecting the check box 'ES numbers' at the top of the rankings pages. Note that only the appropriate admins can see a player's ES membership number. The system checks the membership number against the ES database so can tell if the number is valid, invalid or expired. It only does this when needed (when the pages are viewed) and only does it once per week maximum to reduce the number of accesses to the ES database. Very useful for checking if your league players are members of ES - which they should be.